All hail the black flag! 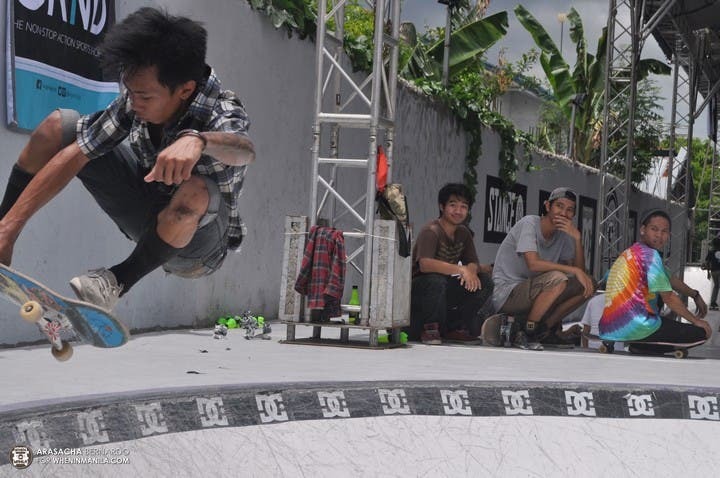 DC hosts the Global Skate Jam 2015 at Backyard Skatepark, Sta. Rosa Laguna. This is in revelry of the Go Skateboarding Day (GSD) around the world. Be bored no more. Got board? Definitely. DC Shoes Philippines spurs sportsmanship and cutting edge scenes while being an innovator on skateboarding apparel for all ages since 1994. The brand strives to thrive a world-class community of professional skateboarding, snowboarding, and motocross athletes. 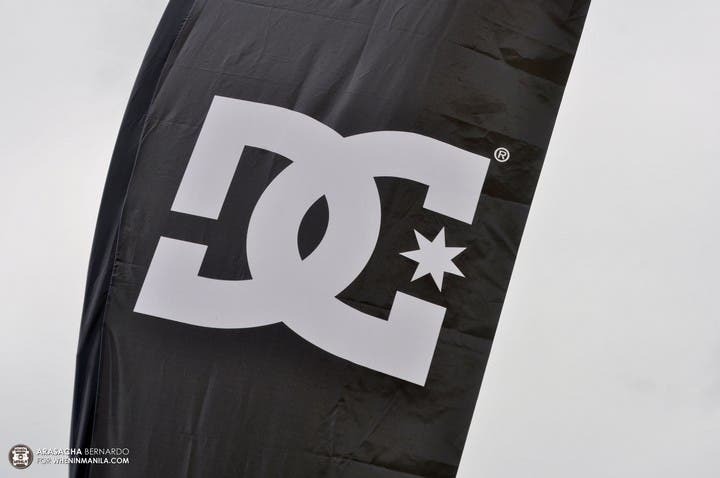 DC is exclusively distributed by Primer Group of Companies and is a subsidiary brand of Quiksilver Inc.
DC Shoes Philippines Brand Associate Vianca Tan shared that the DC Global Skate Jam 2015 is made to showcase passion for motion for free. 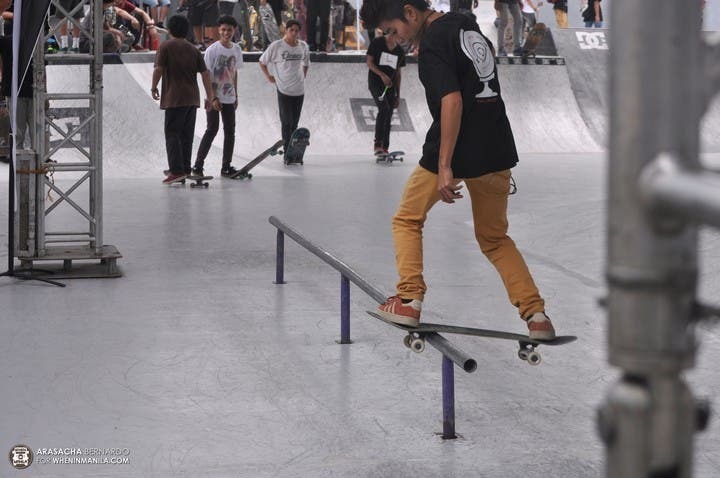 The event aims to break the stereotypes in skateboarding. Will there ever be a school of DC? Wait up, Vianca envisions that DC will make room for further learning and support more safe environments for cultivating the freshie Filipinos’ gravity-defying stunts. 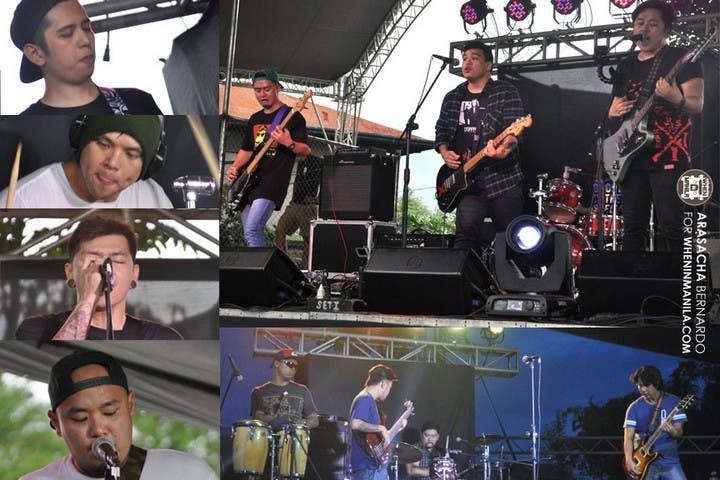 “‘Di siya teknikal pero radikal…misteryoso pero fun.” Strike Pangan describes that steps, rails, and gaps were a thing in the 90’s. Club houses were a skateboarding haven before. 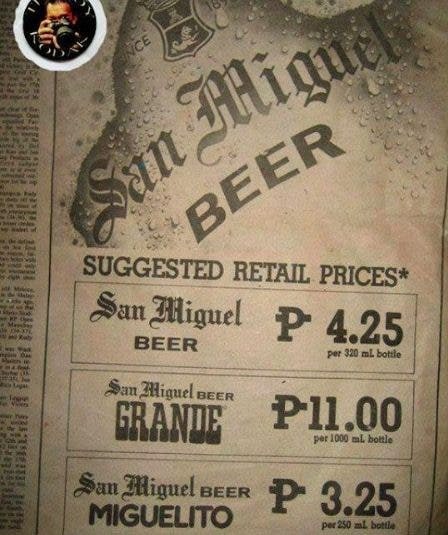 “Magaling kami! 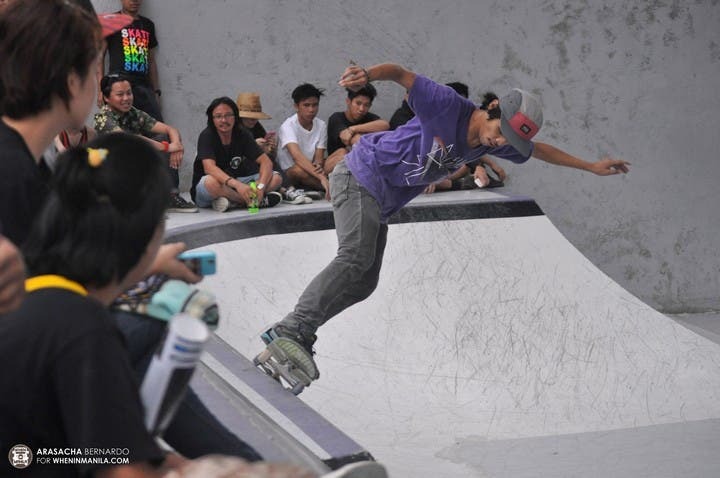 Walang makakaaway na guard…” Gene Matlog shared that skateparks weren’t a thing in the past. Ayala and UP Los Baños served as their playgrounds. Rain or shine, “sagadan talaga…” he added. 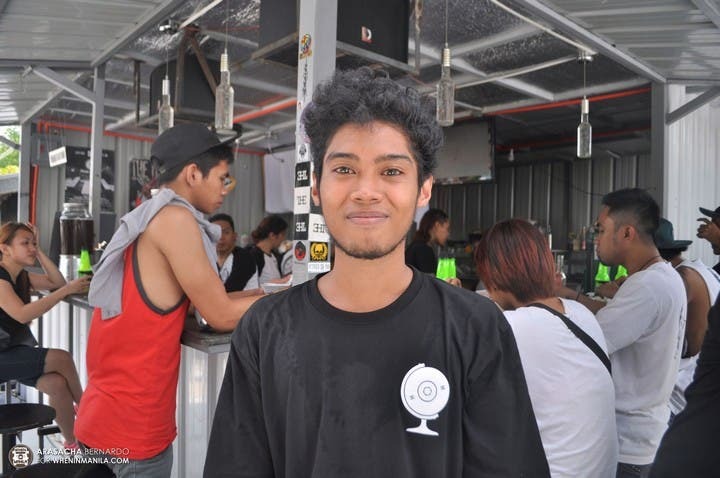 “Skate lang palagi para mapraktis, wag masyadong seryosohin para ‘di masyadong stressed.” Paolo Labrador, Backyard Skatepark Owner, shared that there was a need to have a decent playground. 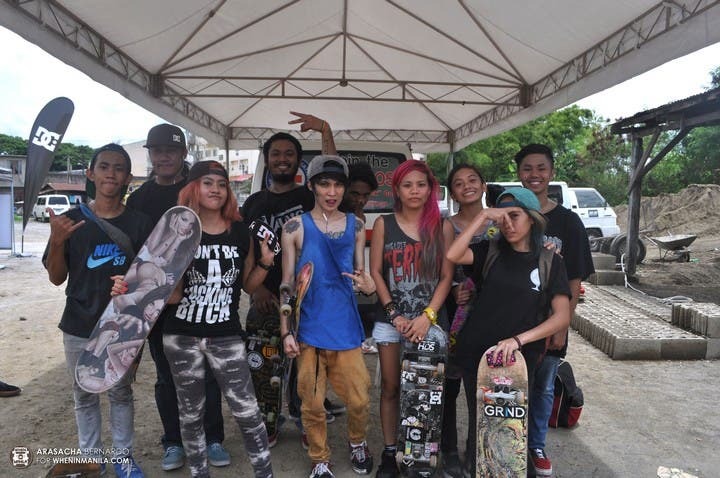 Together with Dindin and Camille Laserna, they made a skatepark that aimed to drive skaters away vices and to provide a bwelo-flowing place. 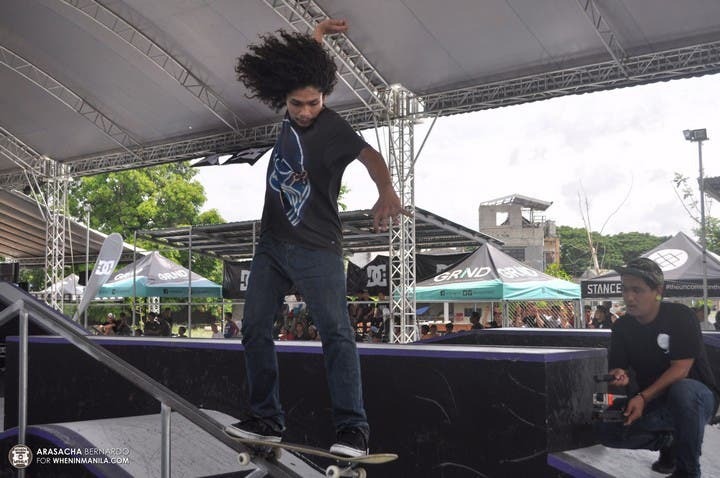 DC Global Skate Jam 2015 had the following categories: Push Race, Highest Ollie, Bowl Jam, Best Grind, Longest Gap and Best Run. Heating up, skaters invaded the roads near SM Sta. Rosa towards the Backyard Skatepark. Oh yes! No police chasing this time. Rock on! Here are pieces of advice to lift the wheels in you. Modern gladiators, preach! Leon Velasco on the rail. Lesson #5: Age Doesn’t Matter. 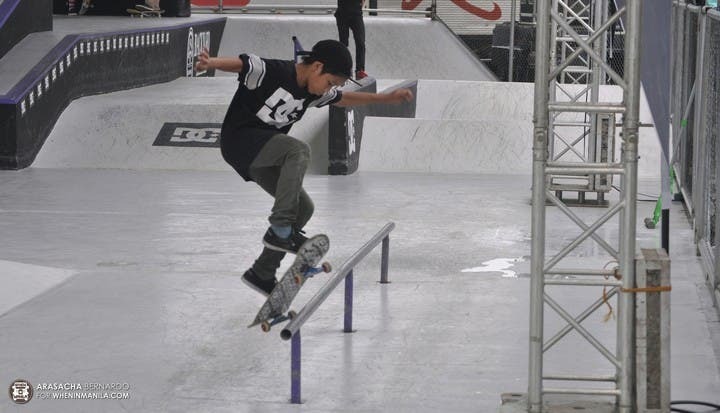 “Mahirap…pero mastered ko na” 13-year old DC Skater Leon Velasco shares his favorite tricks: blunt and freeble. He started 3 years ago and won at the DC King of the Mountain 2014. Since he came from a family of lawyers, he wants to be a lawyer-skater someday. Nothing’s impossible to the willing. Lornel Bihasa bragging his own DC shirt. Lesson #4: The earlier, the better. “Magstart ng maaga…enjoy lang.” Lornel Aleqx Bihasa shared that one should start early in mastering the art of balancing. He learned a lot of tricks in his 7 years experience in skateboarding. Lornel may have sustained an injury during the game that required him a stretcher, but still he proved what he had. Home court is this guy’s advantage. Meet Richard Deo Sanchez. The 18-year old skateboarder preaches to “play like a pro.” He added that he learned skateboarding by watching YouTube videos and recommends to idolize a role model in this blood sport. 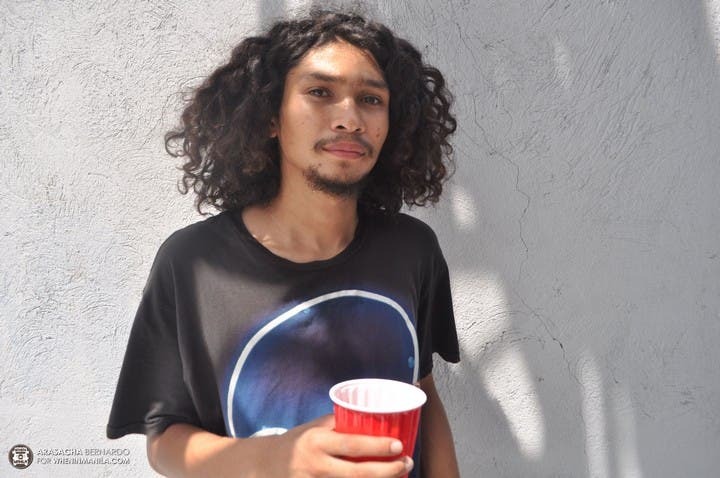 Richard plays for his parents and is motivated by Paul Rodriguez. Cyborg in action: Flip it. Switch it. “Skate for fun.” 25-year old Rasheed Al Rasheed shared. His cup of tea is the Gap and 50-50. 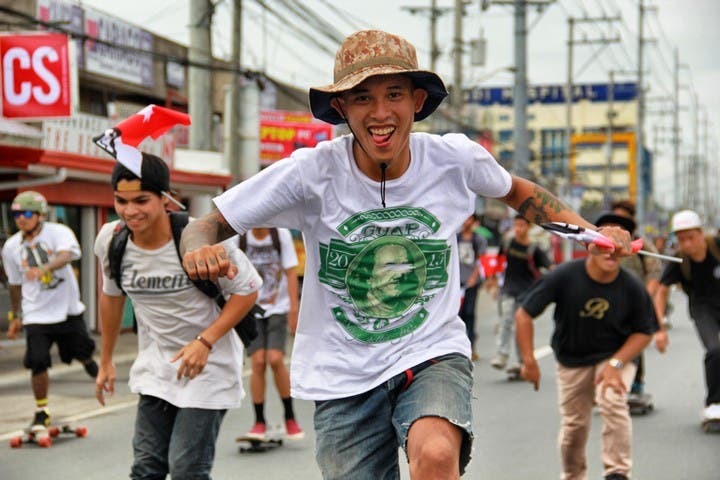 Rasheed broke the Philippine Record during the DC Global Skate Jam 2015 Longest Gap category, leaping over 20 skateboards. Beat that! Lesson 1: Above all, fight! Fight for honor! Though this dude’s brother got some head injury prior to the match, he fought for him all the way. We doff our caps to you! Way to go brah! He must be so proud of you. That won’t touch the ground! 24-year old Canadian Show Stopper Daniel “Dan” Gauthier. Helmets! Safety First and a Father’s Day moment. 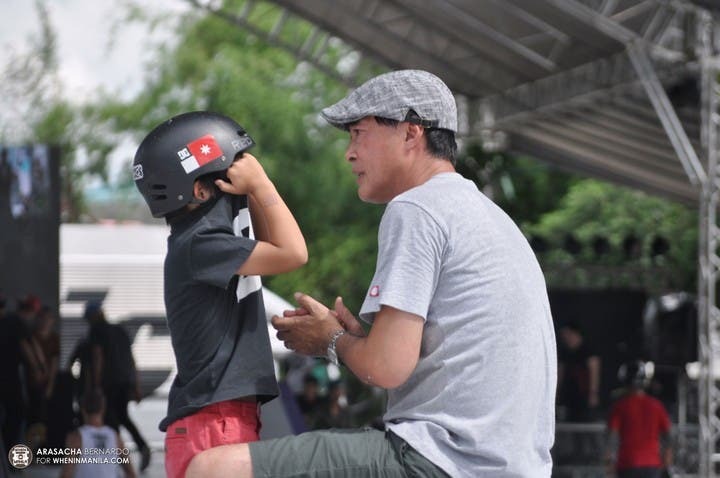 Make your pop proud at DC Global Skate Jam 2015. Here are the winners. Drum roll please. Bowl Jam: 1st Richard Sanchez, 2nd Rasheed Al Rashee, and 3rd, Benjie Damasco. 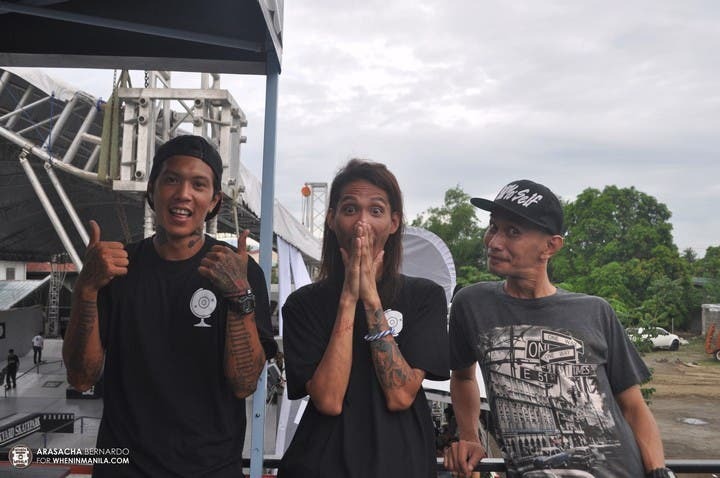 Longest Ollie: 1st Rasheed Al Rasheed, 2nd Lornel Aleqx Bihasa, and 3rd Josh Lavina. Best Grind: 1st Rasheed Al Rasheed, 2nd Richard Sanchez, and 3rd Lornel Bihasa. Best Run: 1st Rasheed Al Rasheed, 2nd Richard Deo Sanchez, and 3rd Ikoy Enriquez. Free-dom: It’s raining skateboards, stickers, shoes and shirt giveaways. Bang heads with rocker Jejaview, all-out metals of Faintlight and that hip Indio-i. 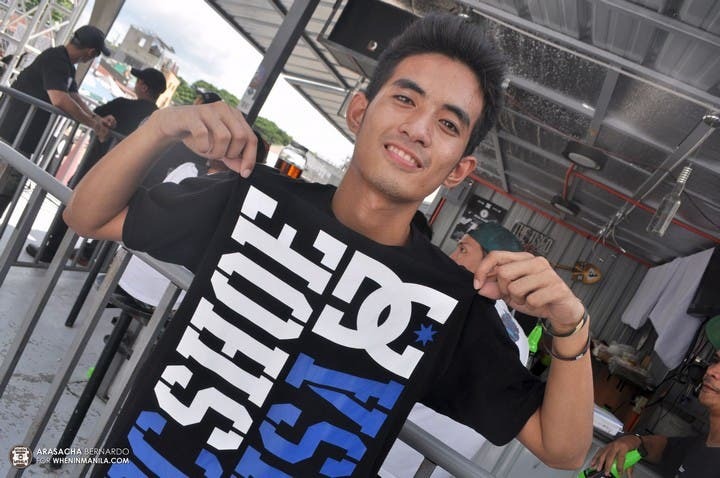 DC Shoes Philippines is a brand made by skateboarders, for skateboarders. 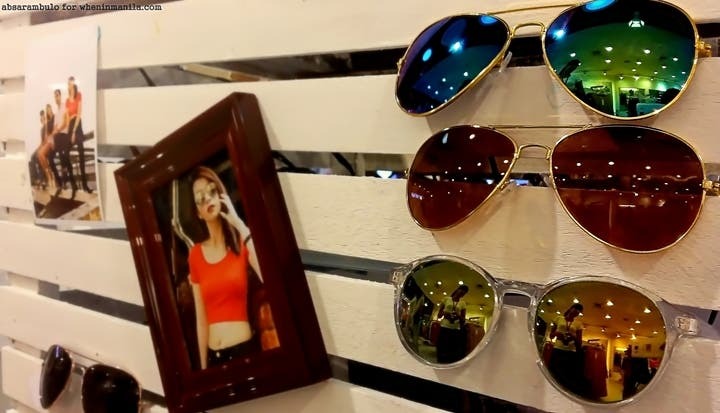 The brand captures hearts of those talented gritted risk-takers. DC Global Skate Jam 2015 celebrates lives of people around the world whose incredible stories are yet to be known. It’s one of those events that’ll get you closer to the edge of your seats. No holds barred! May all Grits be with you.